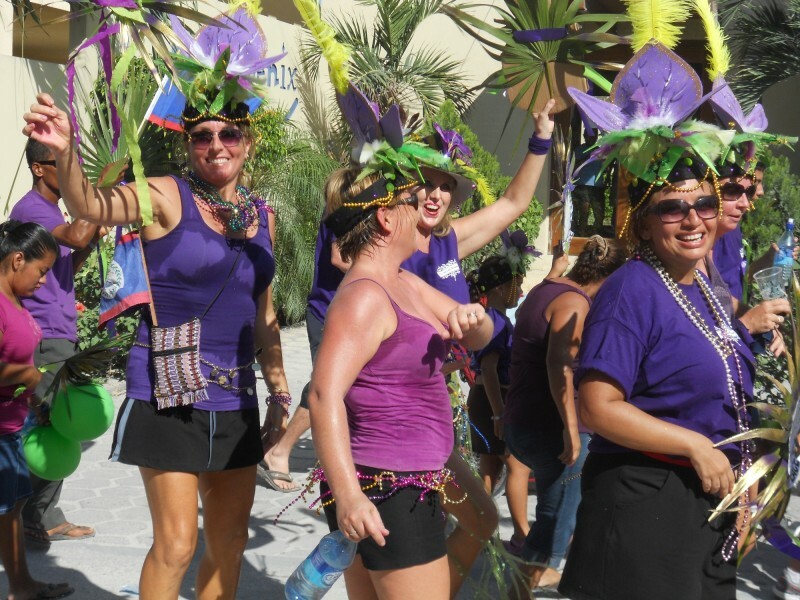 "Jumping Up" at Ambergris Caye's Independence Day Parade! San Pedro's delightful 30th Independence Day Parade, held on September 21st, managed to exceed both my pre-conceptions and expectations. 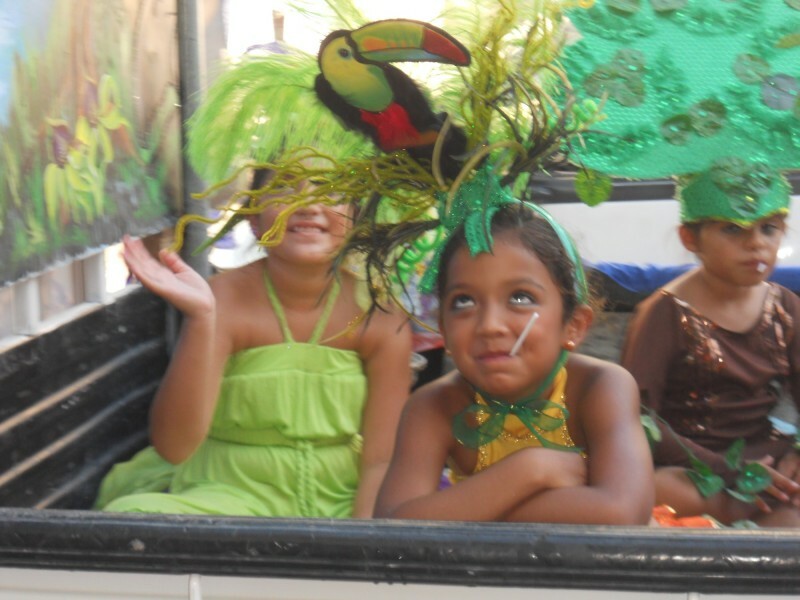 Local parades held on this island are always vibrant, fun, and raucous. But this year was exceptional. The weather was clear... The September heat oppressive... 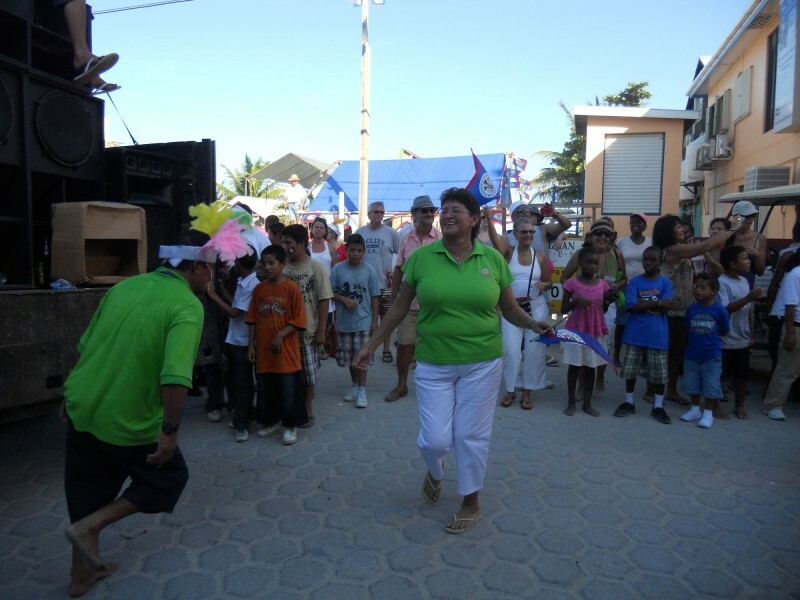 But the pride, joy, and enthusiasm of the Belizean citizens were undeniable and infectious. It seemed that all of the island's residents, and their relatives, had come out to celebrate. 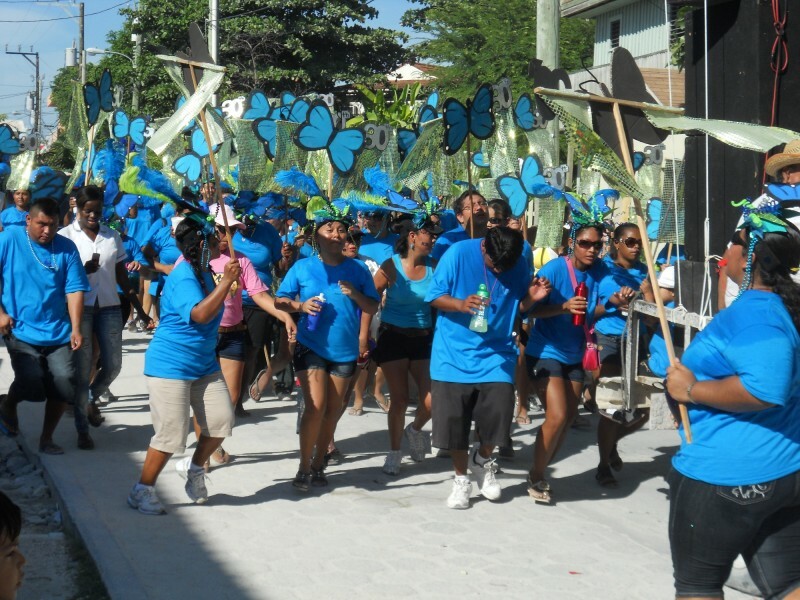 The September 21st street celebration is known as a "jump up"Â parade. That means everyone's invited to jump in and participate in the parade. Â It's a lively, traveling block party that engulfs much of the town's streets. It's impossible to drive through town during this event. The parade participants dance their way through town, following after their float, along with their group. I was delighted by the series of whimsical floats that rolled by. Â Each presented a different theme and was followed by a supporting team of children and adults, in attire to match their theme. 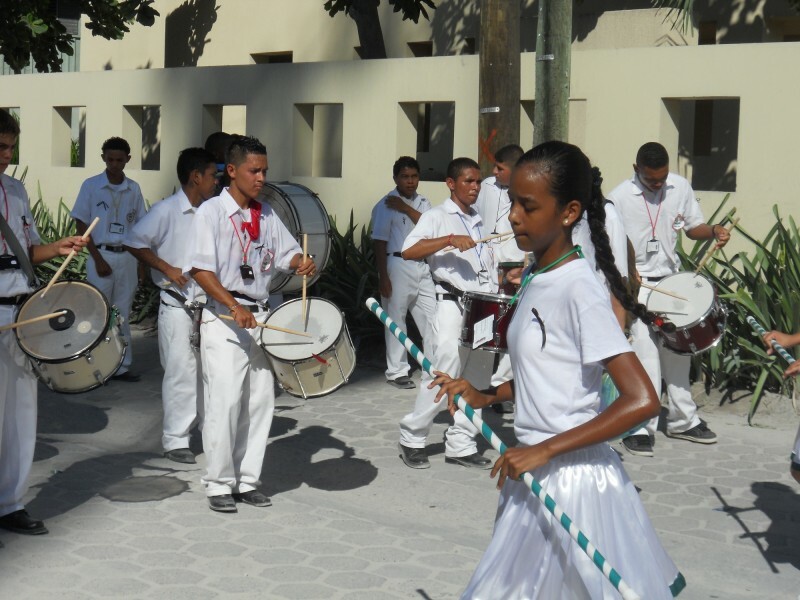 Most of the island's schools participated. Â Each school had devised a different theme, some of which were truly inspired. The school teachers, children and parents had worked on their theme, decorations, costumes and floats for much of the past year. 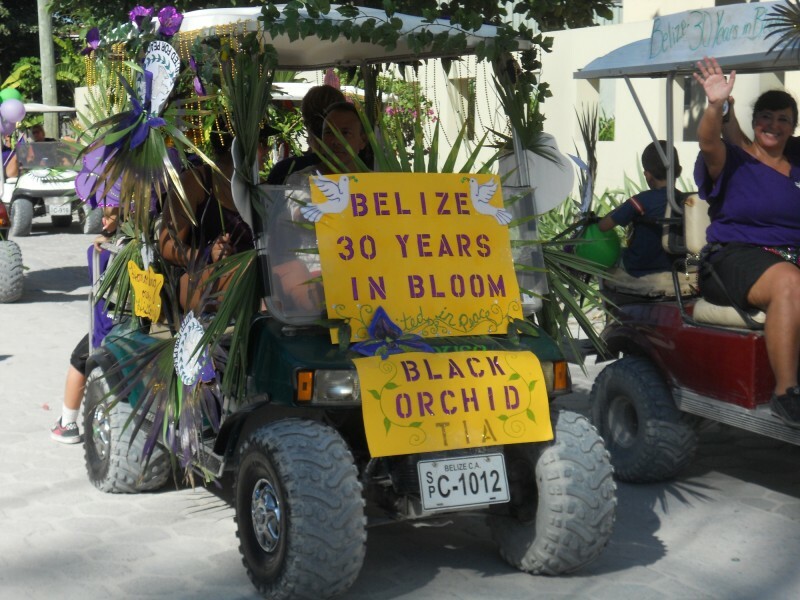 Â Wild decorations and vibrant Caribbean colors camouflaged the golf carts and trucks, in support of their theme. Themes ranged from Belize's unique birds and butterflies, to more patriotic concepts. My two favorite nature-based themes were: the Blue Morpho Butterflies - from ABC pre-school; and the Black Orchids - from Island Academy. Â Both were vibrantly colored, with several intricate creative costumes. Their float and golf cart decorations were both appealing and impressive. Â Their themes represented the beauty of one of Belize's natural wonders. Not surprisingly, both won an award. It was great fun to watch the children and adults, both decked out in their splashy outfits, giggling and dancing their way through the town's streets. Â The parents seemed to be having as much fun as the kids. It's hard to imagine how they survived the sustained, strenuous activity under the blazing September sun. Â Apparently, there was adequate liquid refreshment offered along the route! And the Mayoress Danced Along! I was impressed to see several of the islands most recognizable political and business figures actively participating. Each led their team through the town. Â I don't mean to say that they rode on a float and waved... Not at all... They walked the entire route, actively participating, along with their team! The independence week started on a sad note, with the passing of George Price. Â The Right Honorable Mr. Price is the recognized Founding Father of Belize. 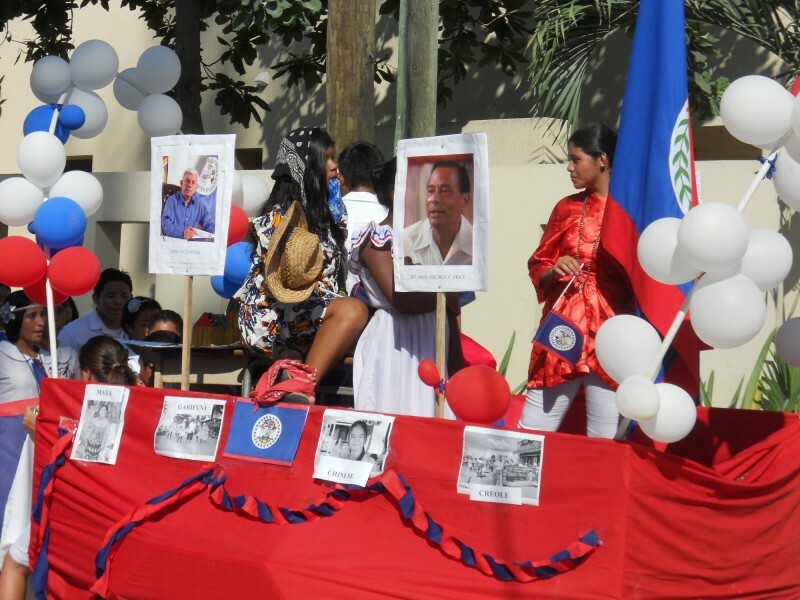 Click here to read a short summary of George Price...Â He played such a key role in Belize's history, that it isn't surprising that many of the floats' reflected his influence on the development of Belize's national identity. Since the passing of the past Prime Minister Price, I've read quite a bit about this man who was the first to be given the title of "National Hero" of Belize. Although still a neophyte in regards to the history of Belize, this recently gained knowledge has given me a better grasp of Belize's national identity. Â I can better appreciate the characteristics that make this country so appealing, and unique. 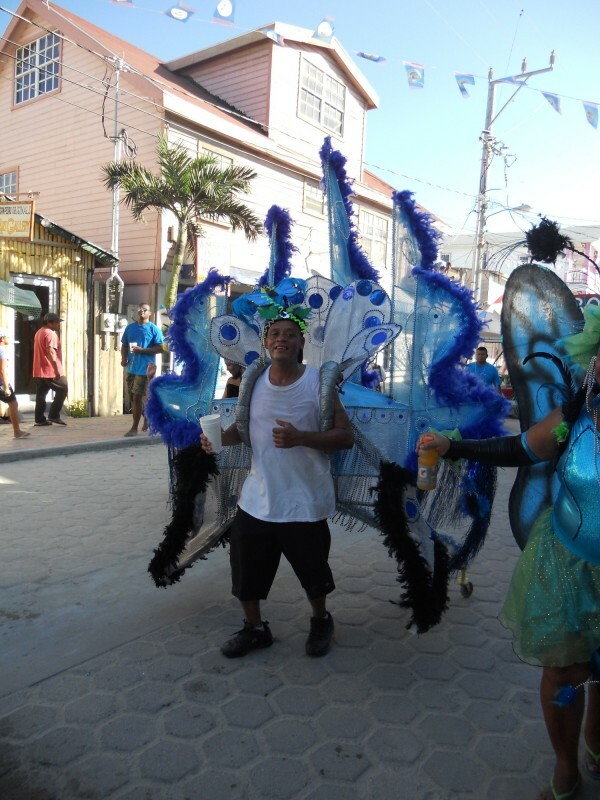 To demonstrate, a well known Belizean slogan was the theme for several of the floats. Â It is: Â "Honoring Our History, Celebrating Our Cultures, Uniting for Peace"Â. "Mr Price was the one who started to forge the idea of a national identity, that we are all Belizeans, that we are all one, that we are all equal. He started to forge an idea of a new nation in Central America and the Caribbean, a nation, a sovereign nation, an independent nation, a nation where its people can be proud of its accomplishments." Visitors to Belize are often impressed that such a diverse mix of races, cultures and religions get along and peacefully co-exist in Belize, without major political conflicts or bloodshed. Â So how did tolerance come to be one of the notable characteristics of this young democracy? Certainly a series of historical events led this country towards freedom, cultural tolerance and peace. Â But it's also well established that George Price, Belize's first Prime Minister, dedicated his life to building a democratic nation based upon these guiding principles. Â He fought long and hard for Belize to gain independence from Britain. Â And he strived to achieve and nurture equality and peace in this young democratic nation.